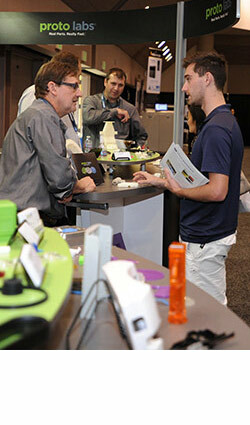 Home 3D Printing FLC Will Meet and Speak With Colleagues at Inside 3D Printing. FLC Will Meet and Speak With Colleagues at Inside 3D Printing. The expo hall allows networking opportunities with colleagues from over 60 countries and 44 states (based on statistics from 2015 events) as well as 70+ exhibits from around the world. 50 + speakers provide coverage of industrial and consumer topics and strategies. Inside 3D Printing covers manufacturing, metal, medical, business, art, and more.